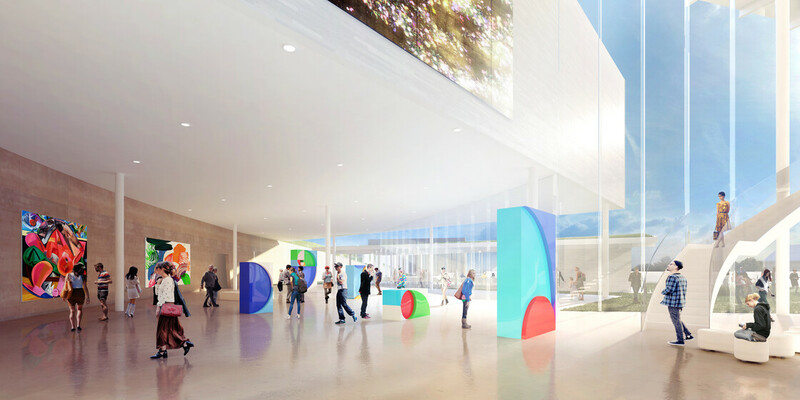 A vibrant new cultural meeting place, the Sydney Modern Project will greatly expand the Art Gallery of NSW to enhance collection display and welcome a new generation of visiting exhibits. Building on the project organisation as a series of gallery pavilions that step down a hillside, the Sydney Modern project has also been designed as a daylight journey. 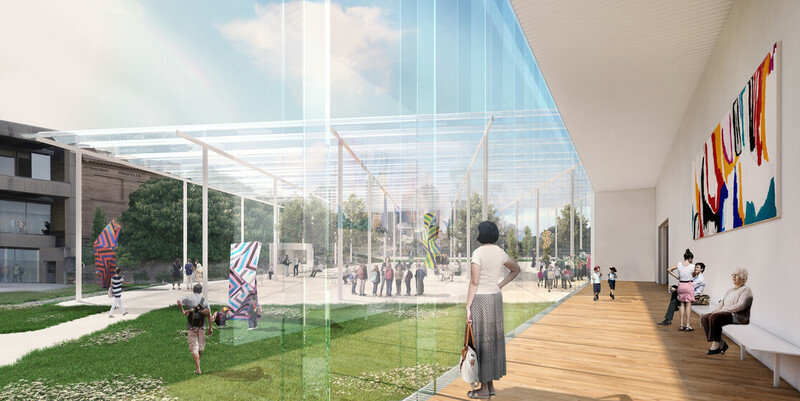 Visitors move from the bright Australian sunshine through a series of spaces that each reduce light levels gently, allowing eyes to relax and adjust to the relatively low-light art viewing conditions. This daylight journey has been carefully calibrated through intensive daylight design analysis and architectural integration. 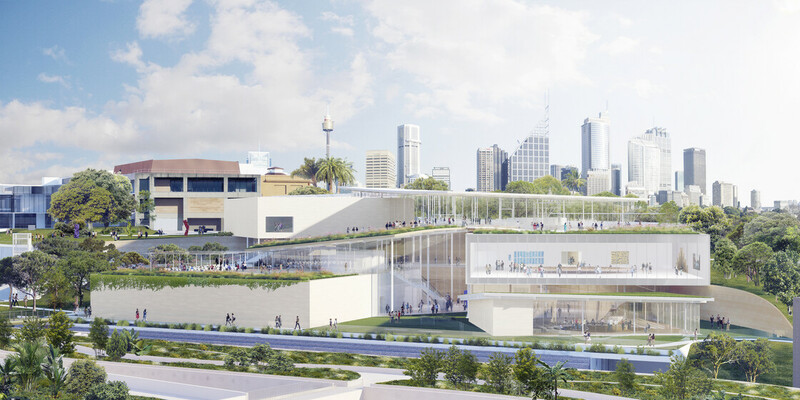 A range of measures will position the Sydney Modern Project in the top tier of energy efficient global art museums. 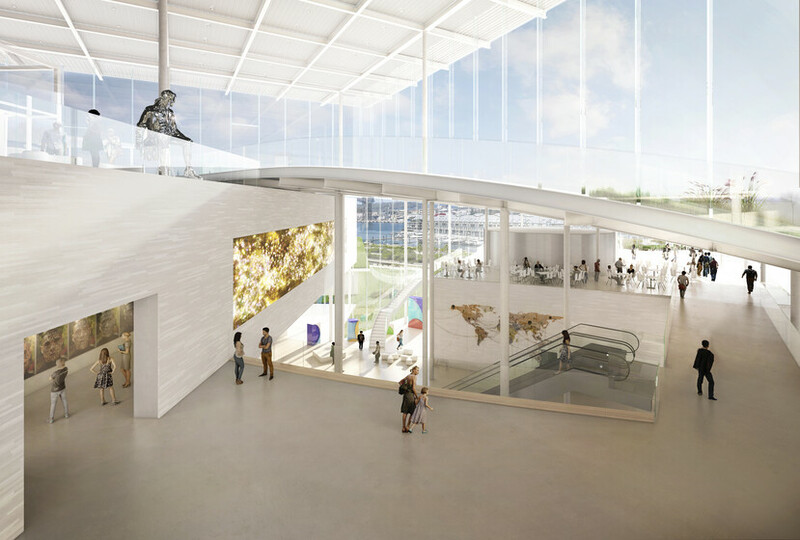 High performance facades, heat recovery air handling and chillers, and harbour heat rejection will all work to reduce energy use while also creating conservation grade interior environments. 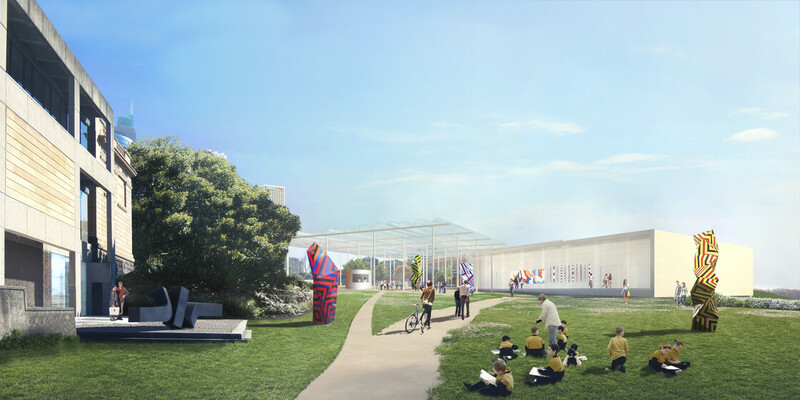 Beyond energy and daylight, a comprehensive range of sustainability measures are incorporated in the gallery, including a substantial rooftop PV array, green roofs, rainwater recovery and reuse, sustainable material selection, and the adaptive reuse of the historic fuel bunkers at the base of the site as a unique gallery. Together, these measures have earned the project a Six Star Green Star Design rating, the highest possible green building benchmark.